Lagos State University, LASU Dual Campus Part-Time / Full-Time Diploma in Local Government & Development Studies (DLGADS) Admission Form, Admission Requirements, Duration, Application Guidelines, Deadline for 2018/2019 Academic Session. Applications are invited from suitably qualified candidates for admission into its “Dual Campus” Part/Full Time Diploma Course in Local Government and Development Studies (DLGADS) for the 2018/2019 Academic Session. The Diploma Course in Local Government and Development Studies is a joint offering by Lagos State University’s Department of Public Administration and Public Service Staff Development Centre’s Local Government Studies Department. Address Organizational and Operational problems of Local Government and evolve alternative solutions, with a view to producing practical Administrators. Provide opportunities for further Education and Certifications in Local Government and Development Studies and ancillary courses in Nigerian Universities. WASSCE, SSCE, NECO, GCE O’Level, NABTEB, TC II or equivalent with a minimum of Four (4) credit passes including English Language and Mathematics. Certificates in Local Government, Public Administration and other relevant Certificates recognized by the Institutions. PSSDC Certificate in Local Government Administration. Any other Professional Certificate recognized by the Institutions. Candidates will be required to undergo written Examination and Interview. The programmes will run for TWO  YEARS. Its Commencement date is January, 2019, and will run at the Ojo Campus of the Lagos State University and the Magodo Campus of the Public Service Staff Development Centre. 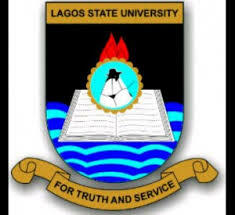 Application Form is obtainable from Lagos State University Website: www.lasu.edu.ng on the payment of Ten Thousand Naira (N10,000.00) only, through this link: http://studentservices.lasu.edu.ng/localgovt_application/newstudents. Any applicant who pay money into any individual/other account/or through other means aside from the one above, does that to his/her own disadvantage. Recommended: LASU Part-Time Diploma Programmes Admission Form 2018/2019.